A successful community celebration takes months of advance planning, as past Black Diamond Labor Day committees will confirm. Following their zealous predecessors’ example, Labor Day committee members already are busy developing strategies for another great celebration, this year on Saturday, Sunday, and Monday, Sept. 3 through 5. Recently a first meeting was held to review last year’s Labor Day affair and to select chairmen to head up special events. Bill Petchnick—Person of the Year. The committee agreed that Alan Petchnick would be in charge of booth space. Early birds can call him at 630-1066 to reserve space for their personal, business, or organization booth. A possible rescheduling of the children’s section of the Labor Day parade was discussed. Because Sunday, the day before Labor Day, is traditionally set aside for children’s games and festivities—soapbox derby, food eating contests, money scramble, etc.—a children’s parade might well be a highlight of the youngsters’ special day, said the committee. Some also mentioned that children have shown a tendency to become very tired when participating in lengthy parades. 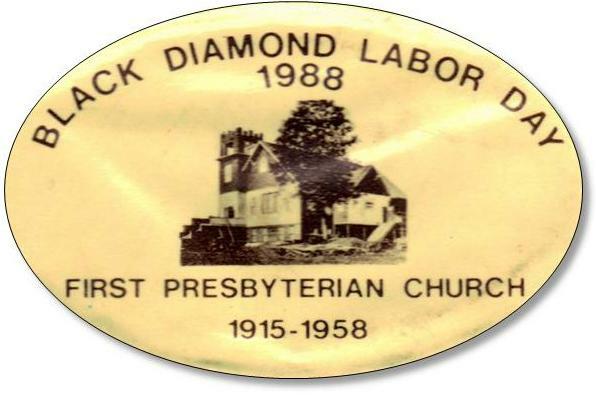 Black Diamond Labor Day committee members are seeking community input on this and other aspects of the celebration. Interested citizens are encouraged to attend the next Labor Day committee meeting on Tuesday, April 26 at 7 p.m. in the Black Diamond Museum on Railroad Avenue. Black Diamond needs to go back to Labor Day being for the children instead of the commercial booths. It was set up for the kids in the first place! This Email needs to go to the people that do not seem to care about them. The parade is not for kids to collect candy either. It was for kids to decorate bikes, wagons, themselves etc.and be in the parade. One time some of my siblings and I decorated the old baby buggy made Bobby Capponi wear a diaper have a baby bottle to be our baby in the buggy. I don’t remember if we won anything. But it was fun for kids to do things like that and be in the parade.